Have you noticed that you’re steadily increasing the volume on your TV set or your car radio? Are you asking people to repeat themselves in meetings, or are you struggling to converse on the phone? It’s common for our hearing to deteriorate as we age, but there are many factors that can accelerate this process. If you’re worried about hearing loss, it’s natural to have questions about hearing aids and what kind of impact they can have on your life. If you’re not familiar with hearing aids, here are some frequently asked questions to give you more information. 1. What exactly is a hearing aid? Most of us know that hearing aids are used to improve hearing, but do you know how they work? Hearing aids are small, complex devices, which amplify sounds and filter out background noise to make it easier for you to hear. 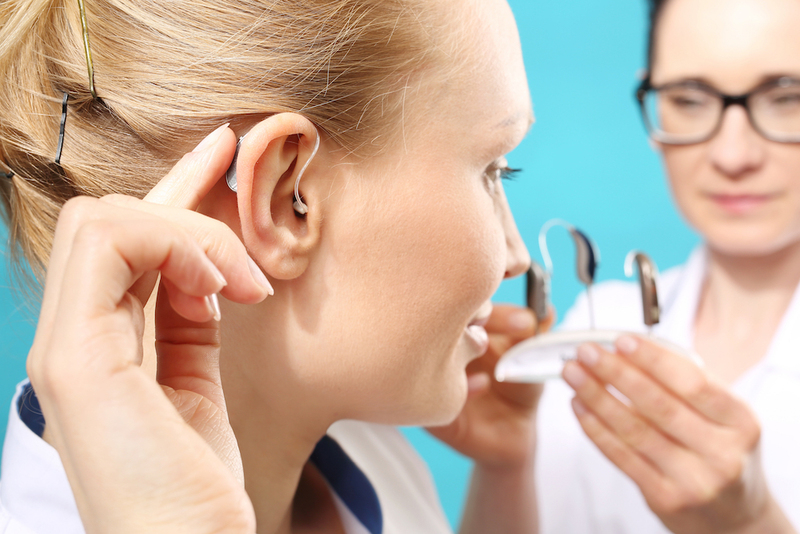 There are various different types and styles of hearing aid, and some may be more suitable for you than others. Hearing aids have three main components: a speaker, an amplifier and a microphone. In this day and age, hearing aids are incredibly powerful, and they’re also discreet. If you have concerns about your hearing, a hearing health professional will be able to talk to you about hearing aids, show you some different devices, and explain how a hearing aid could benefit you. 2. Which types of hearing aid are available? When you have an appointment with a hearing care provider, they will talk you through the different options and make recommendations based on your hearing, your lifestyle, your budget and your personal preferences. 3. What are the benefits of hearing aids? Many of us take our hearing for granted. It’s not until we’re straining to hear in a noisy bar or we’re finding it virtually impossible to keep up in a meeting that we realize just how valuable this sense is to us. Hearing loss can be hugely distressing, and it can have a profound impact on day to day life. Hearing aids can improve quality of life, encourage people to feel more confident, promote inclusion and social interaction, and enable people to gain a new level of appreciation for the world around them. 4. Do I need hearing aids? Research suggests that it takes a long time for people to go from experiencing signs and symptoms of hearing loss to seeking help from a hearing specialist. Some people are embarrassed or ashamed, while others hope for a miracle. If you’re struggling with your hearing, the best thing to do is see a hearing health professional sooner rather than later. If there is an underlying cause, for example, an ear infection, hearing aids may not be required, but if you do have substantial hearing loss, they could make all the difference. Hearing aids are incredibly effective, innovative devices, which can have a dramatic impact on quality of life. If you have any more questions about hearing aids, or you’re concerned about hearing loss, don’t hesitate to get in touch with a hearing care provider.